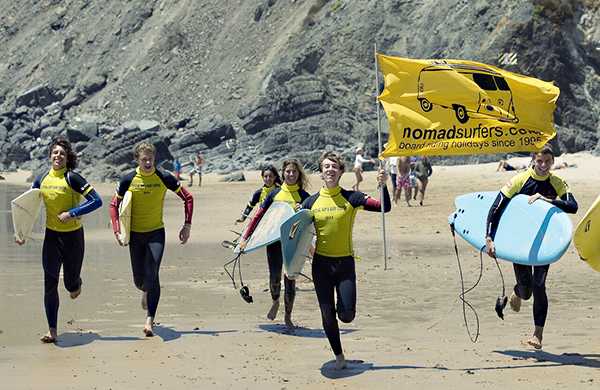 Nomad Summer Surf Camp - Teens, Algarve Guests overall rating: ★★★★★ 4.8 based on 35 reviews. Nomadsurfers has been organizing this 10 day Teens Summer Surfcamp Portugal in the Algarve since 2000. There is a maximum of 55 kids per week and the summer surf camp is for boys and girls between 12 and 18. 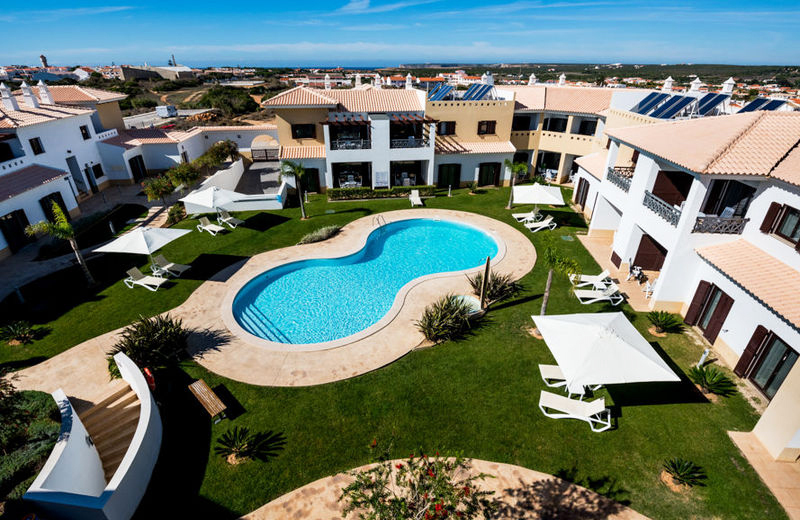 The accommodation for the kids is close to Vale Figueiras beach, a nice Surfhouse only 5 minutes from Carrapateira and Aljezur, and 20 minutes north of Sagres. Surf Courses are split into three levels: total beginners who will learn the easiest way to surf and improve their technique, Intermediate surfers, and advanced surfers. Plenty of activities, prizes, gifts and lots of fun. The children will be spoken to in English, French or Spanish most of the time.We also offer Spanish, Portuguese and English Language classes in the evenings (optional). The team consists of qualified coaches, who speak several languages and all the elements are combined to provide kids with professional, pleasurable and efficient training. The Team has dedicated their life to surf and he boasts over 15 years of experience in junior training. Certified APNEA instructors will teach you about what is happening in your body when you breathe and hold your breath is key to being relaxed in hold down situations. Learning breathing techniques that help prevent blackouts is vital for staying safe. Be safe and bring your surfing to a next level. Private property of 10,000 square meters in the Natural park of Alentejo. 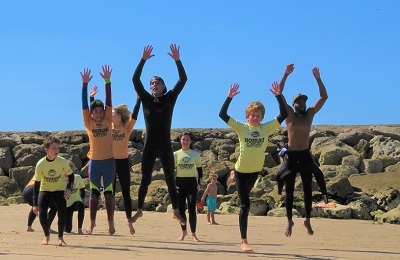 Friendly and Safe Summer Surf camp Portugal accommodating up to fifty-five teenagers. The Surfcamp consists of the main building with dining area and playroom. Separate dorms for boys and for girls. Rooms can be of 3, 4, 6 or 8 people. Prices include accommodation in shared dorms. Private rooms are optional. To have your private Twin or triple room you need to book two or three people in the same booking. Limited vacancies. Professional Chef with more than 20 years experience in the best restaurants in the Algarve. The food is abundant and delicious. If a kid doesn’t like anything we will make sure to cook him or her something else. Breakfast:Served at the surf camp, a delicious breakfasts buffet with daily homemade bread, freshly squeezed orange juice, Croissants, fruit, hams, cheese, cereal, etc homemade Desserts! Homegrown vegetables and fruits: Salad, tomatoes and more! Lunch: Picnic Lunches are given to each kid to take to the beach. Sandwiches, fuit, chocolate, drinks, water. Dinner: Dinners are provided at the nearby restaurant or at the Surfcamp. Chef Homemade pizzas, Starter, soup, main course, and desserts. We are a flexible surf camp and our main objective is that children have a great time and feel at home, or better! We have dedicated many years to the practice and teaching of surfing as qualified instructors, so Nomad Surfers created the Summer Surf Camp Portugal in 2000 with great enthusiasm, specializing in minors. We know the responsibility that this entails, that is why the boys/girls will be controlled at all the times both in the surf lessons and activities extras we developed for their free time, and also at all times by our monitors, and will be always accompanied by teachers graduates. They will be surfing, doing sports and having fun but with the maximum security for them. Morning: Introduction to waves without surfboards, introduction with the surfboard always laying down. Afternoon: Practice balance, Timing, exercises to get up on the board in and out of the water. Morning: Review the last part of the first days. Afternoon: Stand Up and Balance position. Morning: Review the last part. Afternoon: Exercises of weight change from front leg to back leg, walking on board. Morning: Review the last part. Afternoon: Learn to turn left, learn to turn right. Put in practice all the exercises you have learned all week. Evaluation of each person to know in which level he or she has and which points to work on. ✔ Timing and reading of waves to know in which direction to paddle and when to get up. Evaluation of each surfer to know exactly which level he or she has and which points to work on. ✔ Surfaris to secret spots. The coach will be video recording and will correct you with an analysis at the beach and also at the surfcamp. Yoga sessions few days a week. Full moon party on the beach by a bonfire. Basketball and ping pong competitions. Close by to the property there is stables with horses, cows, pigs, dogs, and our orchard. Some weeks we also take our kids horseback riding. 2 hour classes for total beginners or advanced riders. Kids will be surfing, doing sports and having fun but with the maximum security for them. Summer Surfcamp Portugal offers optional Spanish and English Language courses. The classes are only one hour per day for five days from Monday to Friday after surf so no one will miss out on any surfing. The classes are fun and most of the time they will be taught in the open air (Beach, fields, with the animals at the nearby farms, etc). Surfboard construction workshop. Once a week we have a workshop where we teach the kids how to shape, sand, and glass surfboards. We do the same process but in miniature surfboards which they can take with them as key chains. We are 30 minutes north of Sagres. The Surfhouse is ideally located between nature and the wild Vale Figueiras Beach or Arrifana Beach where the surf courses take place. (hills, birds, cows and sheep). No houses, bars, or anywhere to walk to, apart from the beach. We have everything they need. The Algarve is situated on the southern most part of Portugal, stretching along the Atlantic between the Spanish border and Cabo Sao Vicente, Europe’s south western most point, enjoys a privileged climate all year round, in brightly coloured and fertile surroundings covered with orange, fig and almond groves. The southern coastline is formed by a long stretch of fabulous beaches, only broken up by impressive reddish cliffs. The west coast is wilder and the sea rougher, with a string of solitary coves and beaches accessed through dirt tracks. Direct Flights from major all European cities. We offer FREE Faro international airport transfers on our suggested dates for our Summer Surf camp for teenagers in the Algarve. We recommend this airport as its the closest. Arrivals or departure on different dates it will be charged 50 EUR per person per way. You can also take a train from Madrid. Children can get the AVE Train form Madrid to Sevilla and then we can pick them up at Sevilla train station. Closest Train/Bus Station is LAGOS, 30 km. We offer Free pick ups every day all day. From Faro Airport to Lagos From Lisbon to Lagos From Seville to Lagos From Madrid to Lagos. We have prepared a checklist to make sure your kid has everything he/she needs to have an awesome time at the camp! ✔ Pocket money (all meals are included but it is good to have a little extra money to buy one dinner, some ice cream or drink on the beach or during excursions, or extra optional activities). ✔ Full Board (Breakfast, lunch, and dinner). 8 days of English Language classes 155 EUR. The classes are only 1 hour long. The objective is that children learn at least a handful of few important phrases of words per day. The Surfcamp for children in the Algarve starts in the afternoon. Check-in after 5 PM and surf classes on the following morning. On check out day, the departures in the mornings, although we can drop off at a later time if necessary. "With my friends we enjoy Vale Figueiras so much. We came For the third time this year and is always gorgeous. Every year we are adding more days to our vacation that to postpone our home return. Next year we will try to spent a full month of freedom and surf." "Ha sido una experiencia estupenda a todo nivel. Sus padres también estamos muy contentos. Muchas gracias a todos lo que lo han hecho posible!" "one of the best camps i have ever experienced!!" "On my second year going to this camp, I'm so satisfied with the experience and over all the travel, that I would repeat again. Some things like little details like the board games and other stuff or materials are a bit worn out but still usable, but those aren't dependent from the enjoyment of the camp so I have nothing more to say, like I said, over all the best camp I ever been, is all about the great staff and location that made the complete experience. " "I had a great time at Vale Figueiras! The people are very nice, and everything is taken care of. We stayed at the surf resort, which is a really nice building with large rooms and a spectacular view. The food is homemade and delicious. The location is really remote, it is not possible to go anywhere without a car (although they can bring you anywhere if necessary). But, there is no need to go anywhere, cause you are surfing quite a big part of the day. The only negative part is that the yoga lessons, which you can take everyday, are very expensive. We were not aware of this before we started with the lessons, so that was kind of an unpleasant surprise at the end of the week (although the yoga teacher herself is great). Besides this, I would really recommend a stay here!" Meet people and learn to surf! "My son went alone to this surf camp, as he wanted to meet people as well as learn to surf. I was a bit concerned as I had no references other than the information on internet, but I needn't have worried. He came home after 10 days having had an amazing time, learning the basics of surfing and with a great group of friends (both male and female) from all over the world. We live in Spain but his English is good, so this was the main language he used for communication, being with Swiss, French, Australian, Spanish, German,...people from all over! I saw the camp myself, it is quite out of the way in the wild countryside of Portugal, 5 mins from a beautiful and almost unused beach, so the group had it to themselves! The couple who own the camp were relaxed but perfectly in control of all the details, and their staff were young, friendly, mad on surfing, and their enthusiasm is contagious! There were different groups according to surf level, but everyone mixed outside of class time. My son is already planning when he can go back and hopefully meet up again with some of the friends he made this year. My daughter is desperate to become old enough to sign up too! " "Great camp. Really fun. I met lots of new people. Would go again. Would love to do more surfing though." "It was an unforgettable trip. I made a lot of friends there. Did a lot of surfing and had a lot of fun. Gonna come back next year for sure"
"I had a great time at Nomad Surf resort in Vale Figueras ! Overall Portugal, their people and Nomad staff made my vacation something that I won't forget until next summer.... I'm allready asking my parents to let me go back next year for a couple of weeks. Everything is taken care really well, from pickup and delivery at the airport, stay at the camp with every minute filled with something organized, nice pool at the camp, organization at the beach managed by very responsable staff, surfing just fantastic and finally nice evenings & BBQs. Of course mainly everything they let you do during the stay is surf oriented, but the staff tryes to let you experience and sound the country that you are visiting. Personal attention is given to all the guests. The view is amazing from the camp and it is a great way to wake up before having breakfast and start the day. I would highly recommend this camp to all the youth who would like to have summer fun but at the same time learn and improve their own surfing skills. A personal and sincere thank to Louis, head of the surf instructor team (the surf team is really great! ), Maria & Tanya at the camp and to Nacho taking care via web to set up all the matters from arrival and departure like a swiss watch! Overall ... very nice people and great camp! " "This is the best camp I have ever been to. Coaches are fantastic, people are friendly, food is amazing! (especially pasta on BBQ evening. ) Thank you very much and see you soon)"
Great time and would do it again! "My 17yr old just got home after spending a week at Algarve. He had a great time and would definately consider going again next summer. He is already looking at other locations, Australia, France, Indonesisia. His surfing advanced and he enjoyed meeting new people from all over the world. What a great opportunity for teens to travel to cool places, meet great people, and surf! Thank you!!! " "The camp with its program, kids, coaches and surf lessons was amazing. Food was wonderful, although a bit too spicy. Loved that kids had a lot of free time to make friends and spend time together. Definitely coming back next year! 'Simba"
"I really enjoyed this surf camp and its variety of activities, as well as the staff and people I met. I made a lot of good friends with whom I still keep in touch with. the food was good, although I believe that the vegetarian food could be more varied. we had a lot of freedom (in a good way) which made the summer camp differ from other too strict or boring camps. the surfing was well taught and enjoyable. however, a bit more of surf area in the sea would be recommended. thank you so much for the amazing experience, I loved it!" "Thanks a lot!! Aritz Orio and Antxon Agirre"
"It was great to be there. Very well organized, nice people, lots of international contacts and good surfing. I would come back again if I was younger." 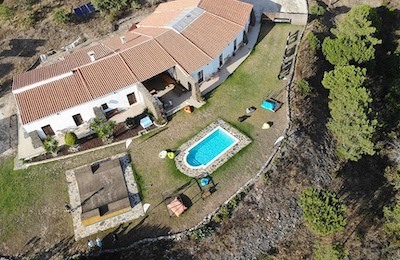 "Great atmoshere and very nice stuff"
"as the last year i enjoyed my stay in vale figueiras. good food, good surf, good friends, nice atmosphere. i hope i will be able to come back next year." "I loved everything about the camp. The coaches, the food, the location and of course surfing! The only thing I would recommend improving is the variety of dishes for vegetarians because we ate a salad for dinner almost everyday. Thank you for this amazing experience and see you next year!" "I stayed in the summer surf camp in Vale Figueira for ten days in june. I really enjoyed my time. The food was good, the staff excellent and the place beautiful. I hope I will come back as soon as possible." "Fantastic surf camp. The instructors are really great and lovely people.the food is plentiful and delicious." "I enjoyed my stay very much, the coaches were friendly and happy always! The food was great and the surfing even better. I will be sure to come back!" "Really nice holiday, the camp was great with the staff always there to help if needed and to have some fun! Facilities were good but toilets could be better maintained/cleaned. Good was really good and lots of it! Great holiday!" "Thank you so much to Russo and his team who give an incredible surfing experience! I was so taken with the entire trip, from the surfing to the water park, and the general accommodations! Overall I can't wait to go again, this was a fantastic adventure to go on!" "Emmanuel had a very nice time in camp. He enjoyed and wants to come back." "Hi Elaine Costa, I wanted to let you know that Jaime returned yesterday from Portugal delighted his stay. He liked the place and says that the staff are very friendly. It was a good experience, and I wanted to thank you for all the organization. Greetings and see you soon"
""To all at Nomad, I just wanted to say thank you to you all for the fantastic surf holiday my two boys had in Portugal. Apparently the instructors were fantastic, the food delicious and it was an all round huge success. They are already asking if the camp is open in October? Thank you to everyone!"" "Hello Jose, Juan had a great time and met some great friends and instructors. Juan would be really happy to have some video of his surf. Could you send me some? He says there was someone taking footage from the water. Thanks and regards"
"Hi jose, The girls really enjoyed the teen camp in july. My daughter Ines has a holiday in october and was wondering if you are organising a camp at this time of the year. Please let me know. thanks"
"Hello Julien, I really want to thank you for your advice about the choice of surfcamp for my son Virgil Aubin. This choice was perfectly suited for Virgil. I wanted to tell you how touched I am very human qualities Russo quality of his team at the managerial level of surfing, the quality of the organization, leadership ... I plan to leave Virgil surfcamp this summer. Again thank you."